In which we all are but have-beens. Let Clare depict my Me and She. 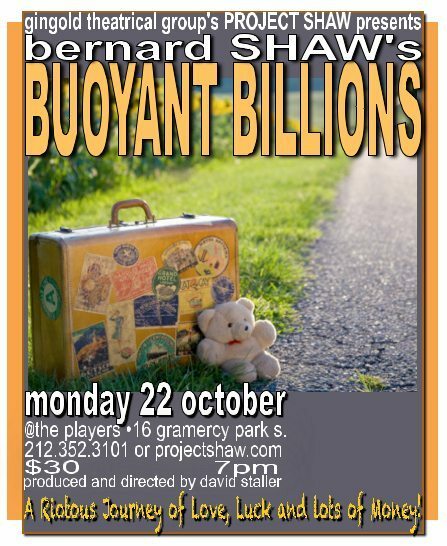 BUOYANT BILLIONS, one of Shaw’s wittiest and least known plays, written towards the end of his very long life. The plot: after WWII, a rich young man decides to venture forth into the world and become a professional ‘world betterer.’ Along the way he meets a rich young saxophone-playing heiress who treats him so dreadfully that he becomes fascinated by her…and her entire peculiar family. Written by Bernard Shaw in 1948.